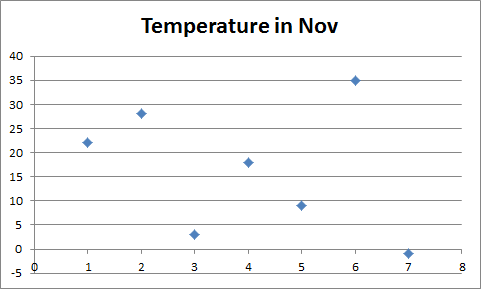 A normal column chart may be too boring. 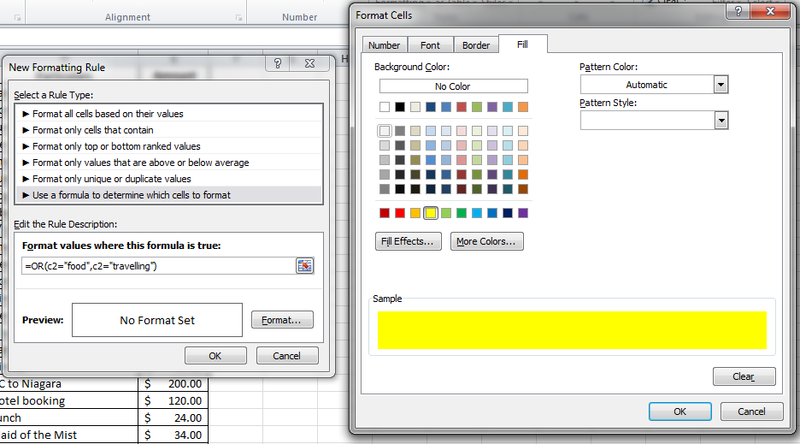 Make it interesting by replacing the simple columns by a custom image! 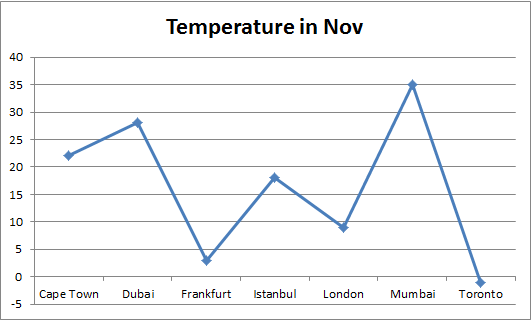 There’s a bollywood movie called “Rocket Singh” where such a chart was shown. See this video. 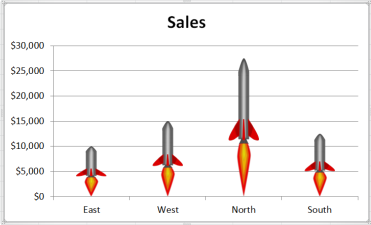 I will show you to create a similar chart. 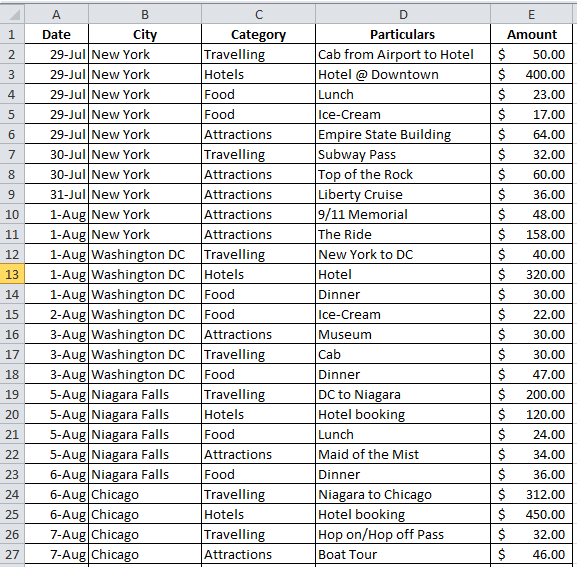 Create a simple column chart from your data. 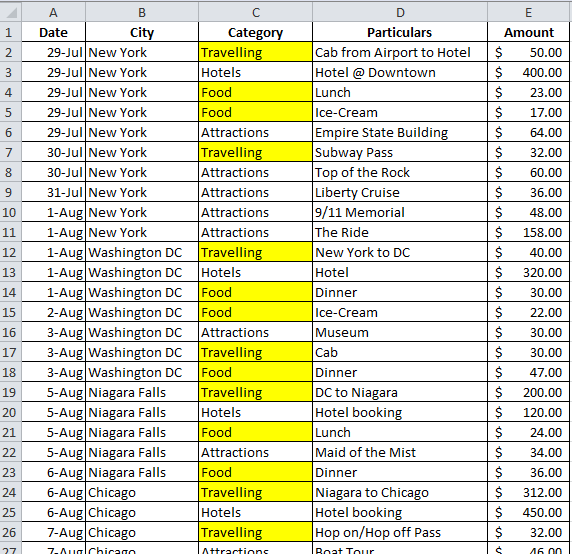 Select the columns, Right-click and Go to Format Data Series. 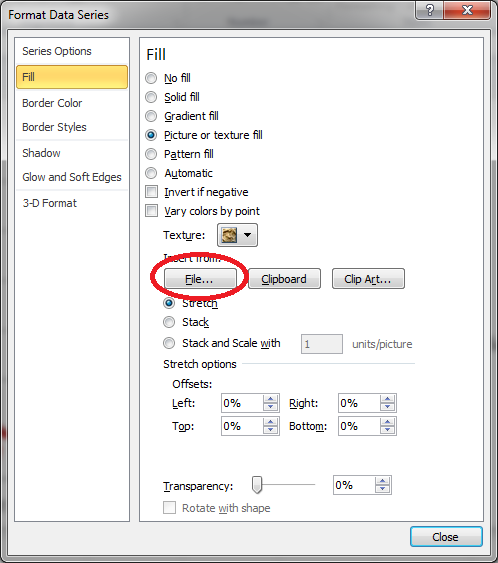 Under Fill, Select Picture or Texture fill. 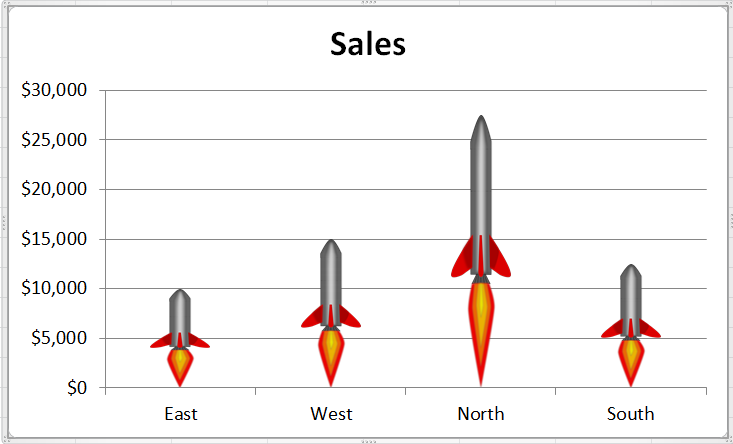 Click on File, and select the Rocket image you just downloaded. You have noticed that whenever you create an xy scatter chart in Excel, the x-axis labels are numeric and not textual. 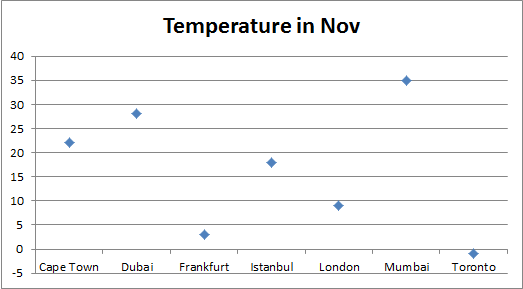 You want to depict temperatures (in degree celsius) of various cities around the world on a scatter chart. 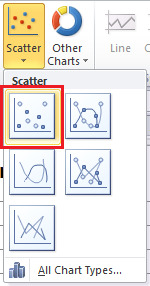 Since the xy scatter chart is specifically designed to be used when x-axis values are numeric only, you will actually have to select a different chart for this purpose. 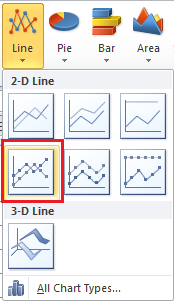 Select the line, right-click and go to Data Series. 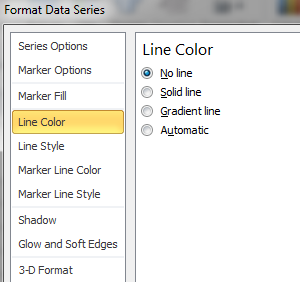 Under Line color, select No Line and Close. Your required chart is created! 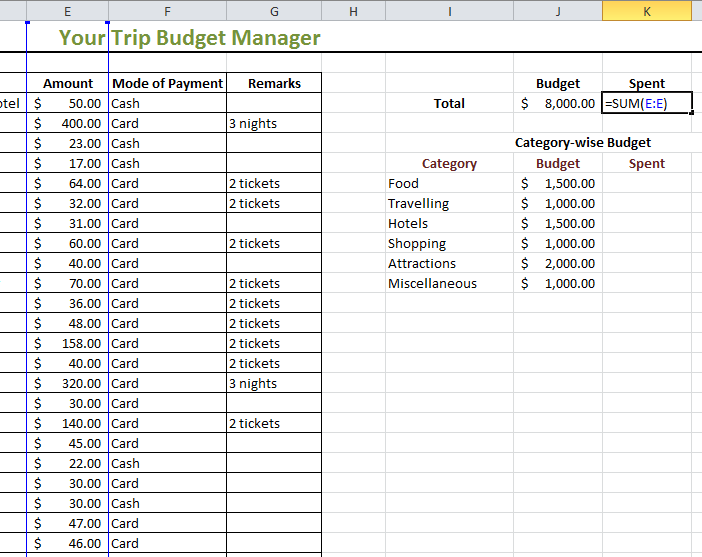 The way =IF function works in Excel, similarly If Else loop works in Excel VBA (Visual Basic for Applications). 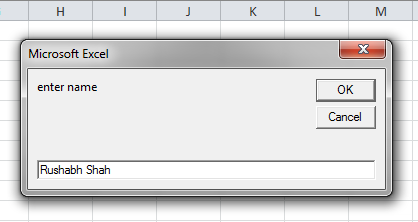 This example gives an interface (an input box) to the user to enter details, based on which a reply is given by Excel VBA in the form of a message box. 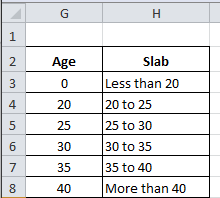 You want to ask the user for his/her Name and Age. 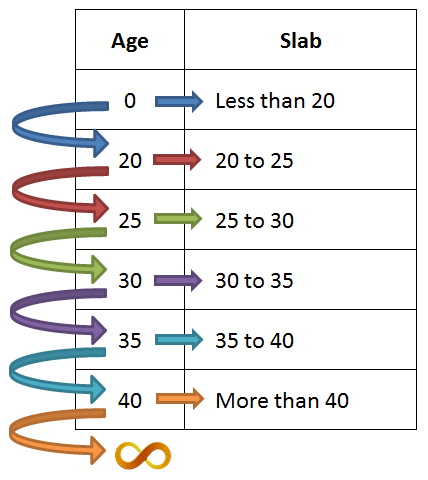 If Age >= 18, the user is Eligible to Apply for a Driving license. If Age <18, the user is Not Eligible. 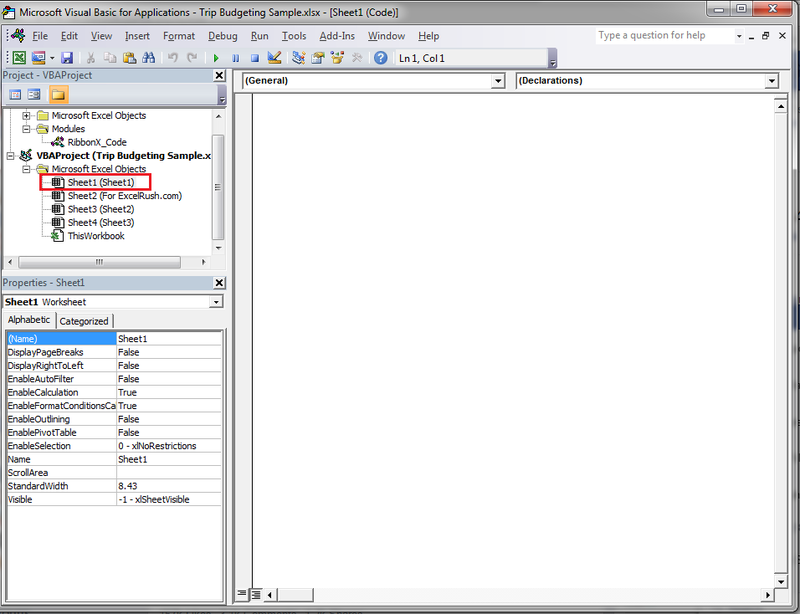 You need to first open the VBE (Visual Basic Editor) using Alt + F11. 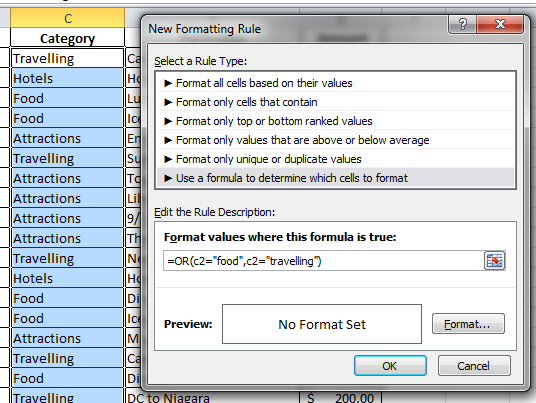 Double-click on the Sheet name (Sheet 1 in this case) in which you want to write your code. 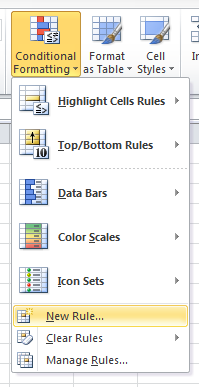 the ‘ allows us to enter a comment in VBA. this comment helps us to remember that the below code is written with the objective to check driving eligibility. 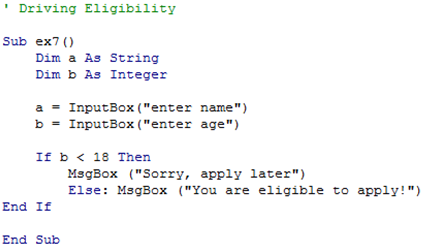 Whenever you start writing code in VBA, it always starts with ‘Sub’ and a name for your code. 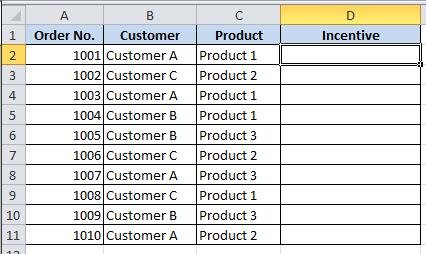 ex7 is an example, you can write any name you like. Defining a dimension with the name ‘a’ as String. Defining a dimension with the name ‘a’ As an Integer. An InputBox will be displayed on the screen, asking the user for his/her Name. Name will be stored in ‘a’. An InputBox will be displayed on the screen, asking the user for his/her Age. Age will be stored in ‘b’. Checking if the Value of ‘b’ < 18 or not. 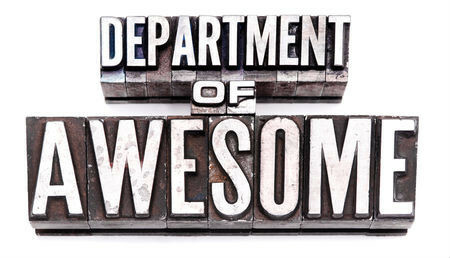 If b < 18 = True, this message will appear in a MsgBox. If b < 18 = False, this message will appear in a MsgBox. Always required to be put at the end of the If Else loop. Always required to be put at the end of the code. Try out 1 more example! 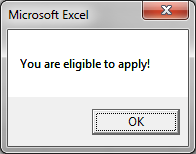 If not eligible, also show after how many years can the user apply for a license?